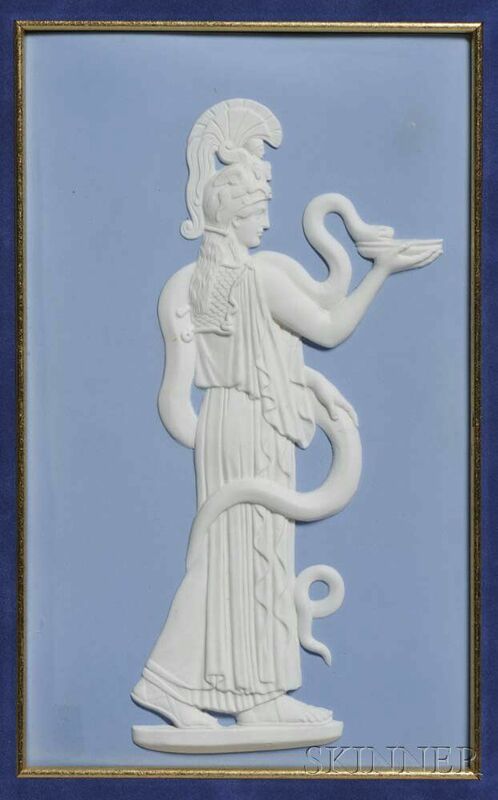 Wedgwood Solid Light Blue Jasper Plaque, England, late 19th century, rectangular form with applied white relief depiction of Hygeia, impressed mark, sight size 6 3/4 x 11 in. 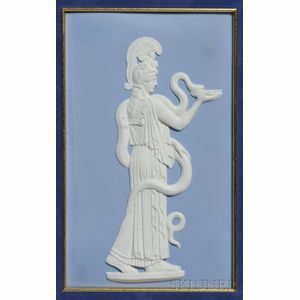 ; mounted in a modern frame. Not examined out of frame. By sight in very good condition throughout with no evidence of any cracks, chips or restorations.